This entry was posted in Uncategorized and tagged meta, Personal, soldiers, The South. Where did you learn your history? 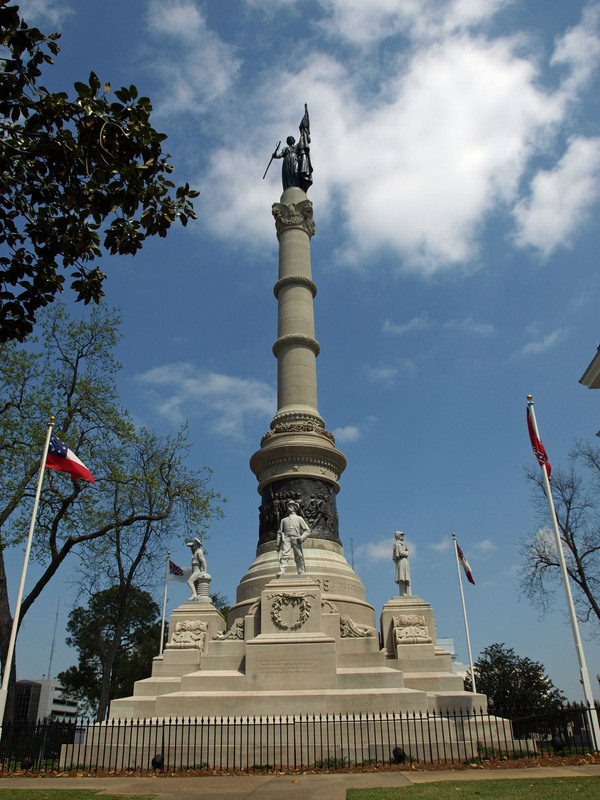 We shouldn’t honor the sacrifices of Confederate soldiers because they fought for slavery? Why did Lincoln issue the emancipation proclamation in 1863? If your logic is accurate, what were Southerners fighting for during the first two years of the war? Could you explain to me why southern cites like Fredericksburg, Vicksburg, and Richmond were looted & destroyed by the Federals during the war? I guess defending your own livestock and home from an invasion isn’t a valid reason. It may be that this large collection of southern gentlemen of property and influence, well enough esteemed by their peers to hold high offices, conducted a systematic fraud up to and including the precipitation of a massively destructive civil war for some obscure reasons known only to them. This seems, however, much less likely than the proposition that they meant what they said and were to no great degree fantastical liars and conmen of peerless skill and nigh-limitless amorality. They were, in your own words, defending their human livestock and the vast fortunes invested in it. What were southerners fighting for for the first two years of the war? They told us in plain terms. I invite you to read the full documents if you don’t believe me. Or do you just think that they were all amazing liars after all? Why were various southern cities devastated by the war? Their participation in the rebellion to protect and defend slavery, of course. There’s a reason Baltimore, Chicago, and New York didn’t get burned, shelled, or otherwise militarily molested. They weren’t in rebellion. I suppose now that southern politicians, elected by southern white men to lead southern white men and enact policies preferred by a majority of southern white men no longer count as representatives of southerners and their opinions, despite the clear position of southerners of the time on the issue. This is a strange position which I don’t think gives sufficient credit to the people alive at the time. That said, I believe the Confederates were fighting for the paramount objective of preserving slavery. Any other reasons that might have existed are a very distant second to that. And yes, I do believe that soldiers signing on today know that they will be fighting for the foreign policies of whoever gets elected. It’s part of the job and they know where the chain of command ends. So did the men (and the women who successfully pulled it off) know where the chain of command ended in 1861. 1) Southerners in general were just incredibly stupid and did not understand what the dispute was about despite the clear word of the politicians who threw the war on the subject. 2) Southerners in general were just bloodthirsty nuts eager for any fight they could get, and so didn’t care what the dispute was about. 3) Southerners were adults fully competent and capable as any other people, quite able enough to figure out what was going on and make their choices accordingly. Mind you, some of them went and fought for the United States instead of the proslavery insurrection. Perhaps you have some special insight into the southern nature which leads you to believe the southerners of the 1860s either fools or crazed murderers, but in my inquiry into the subject I have found no cause to reach any such conclusion.